We meet aliens every day who have something to give us. 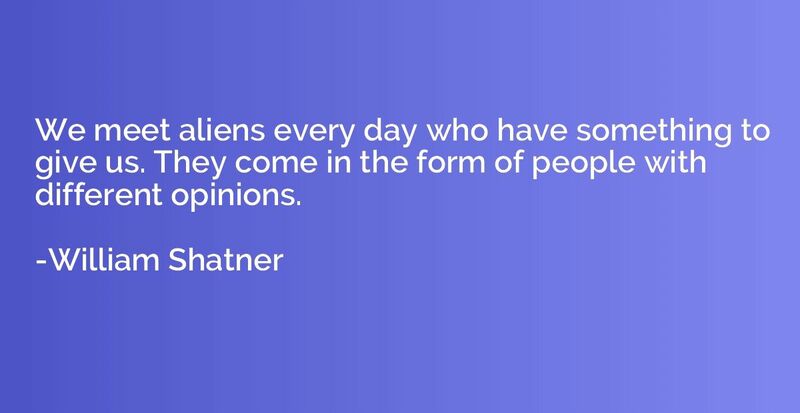 They come in the form of people with different opinions. If someone isn't what others want them to be, the others become angry. 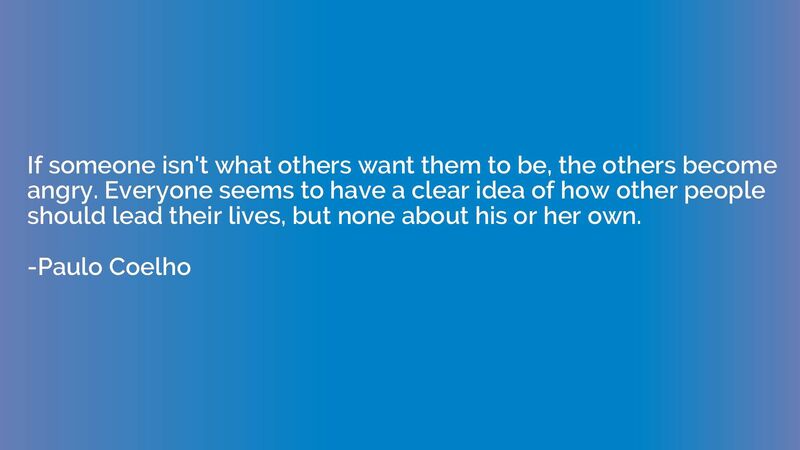 Everyone seems to have a clear idea of how other people should lead their lives, but none about his or her own. 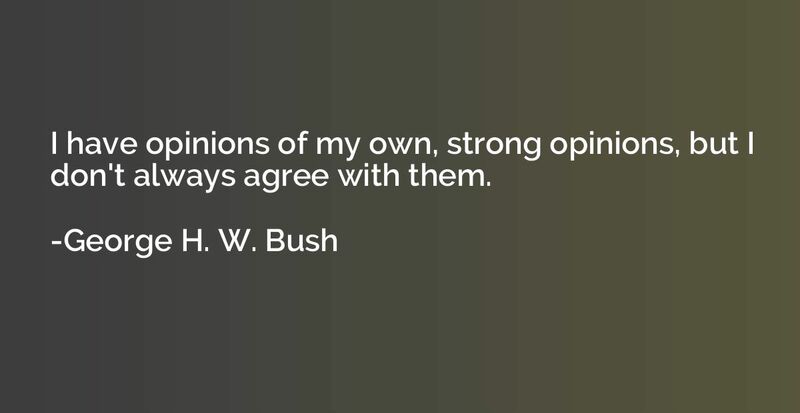 I have opinions of my own, strong opinions, but I don't always agree with them. 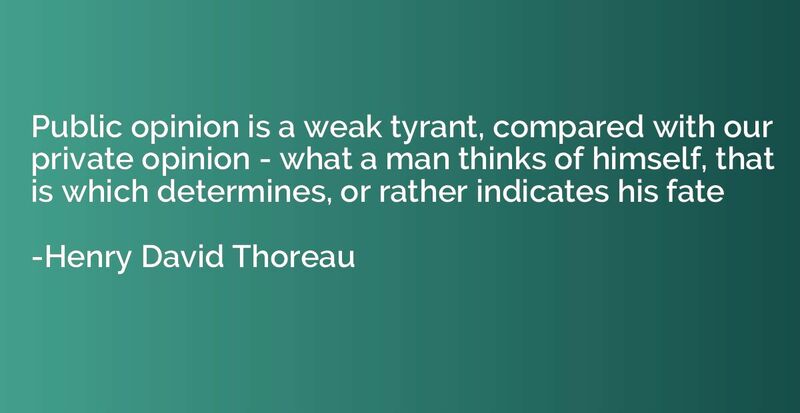 It always seems as though the definition of love will remain debatable by an opinionated world. I hate racial discrimination most intensely and all its manifestations. I have fought all my life; I fight now, and will do so until the end of my days. Even although I now happen to be tried by one, whose opinion I hold in high esteem, I detest most violently the set-up that surrounds me here. It makes me feel that I am a Black man in a White man's court. 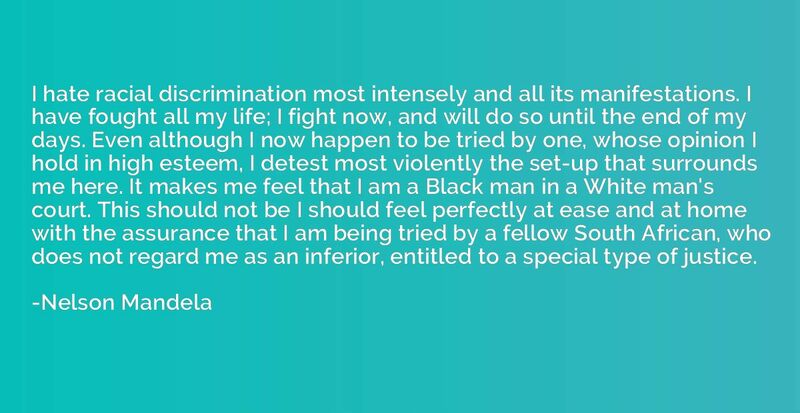 This should not be I should feel perfectly at ease and at home with the assurance that I am being tried by a fellow South African, who does not regard me as an inferior, entitled to a special type of justice. 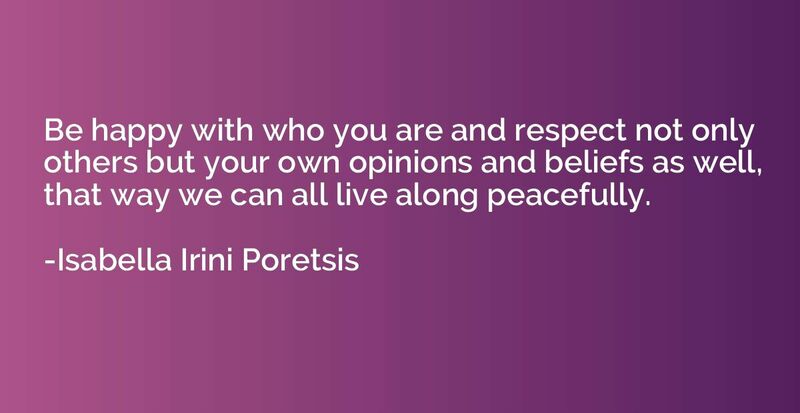 Be happy with who you are and respect not only others but your own opinions and beliefs as well, that way we can all live along peacefully. 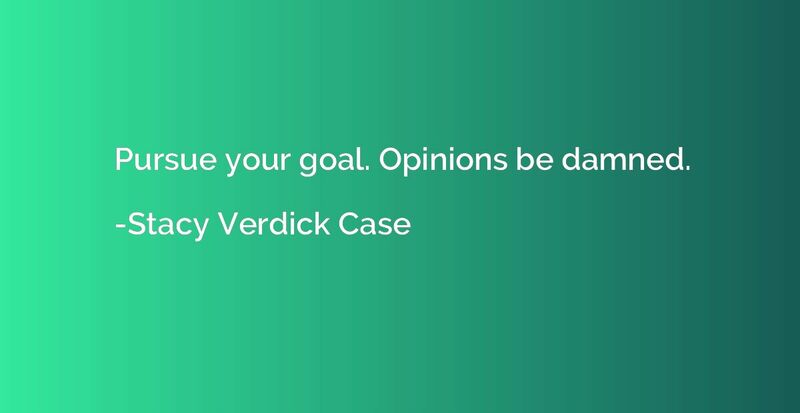 Pursue your goal. 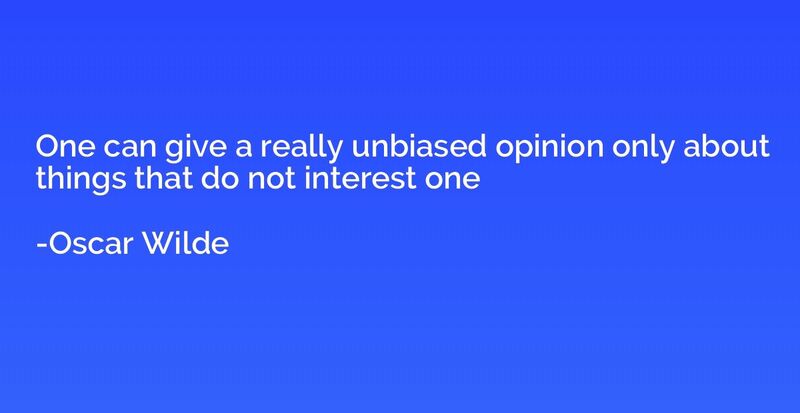 Opinions be damned. 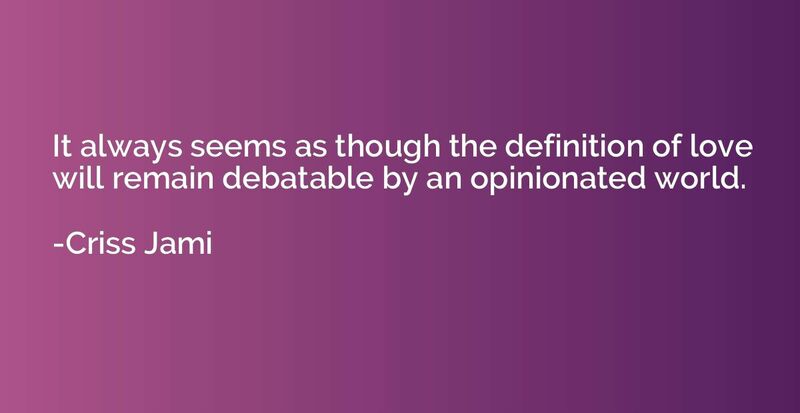 Beware: open-mindedness will often say, 'Everything is permissible except a sharp opinion. 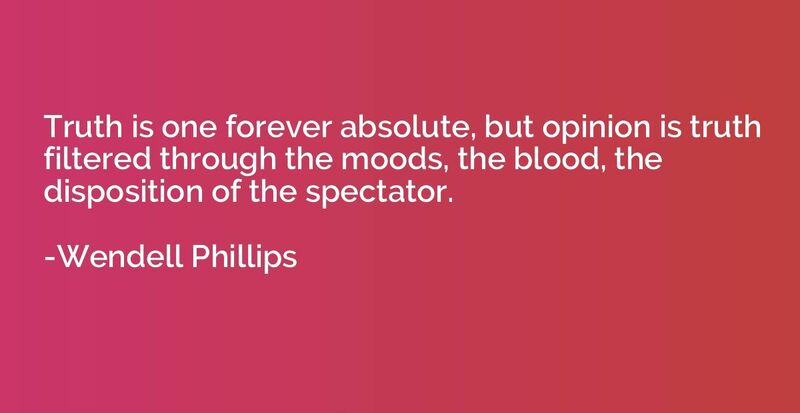 Truth is one forever absolute, but opinion is truth filtered through the moods, the blood, the disposition of the spectator. 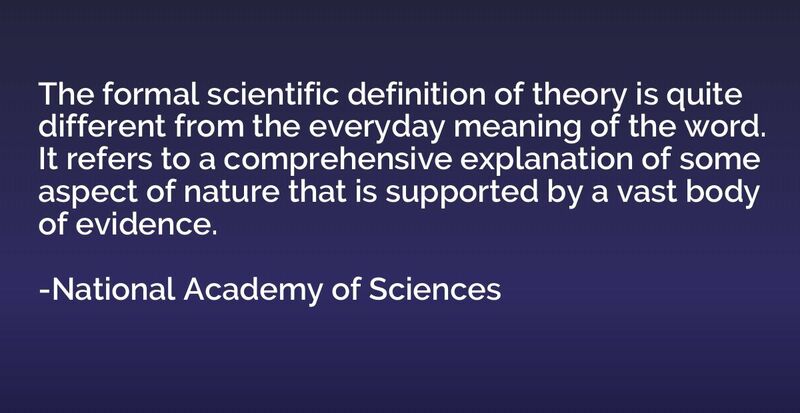 The formal scientific definition of theory is quite different from the everyday meaning of the word. It refers to a comprehensive explanation of some aspect of nature that is supported by a vast body of evidence. 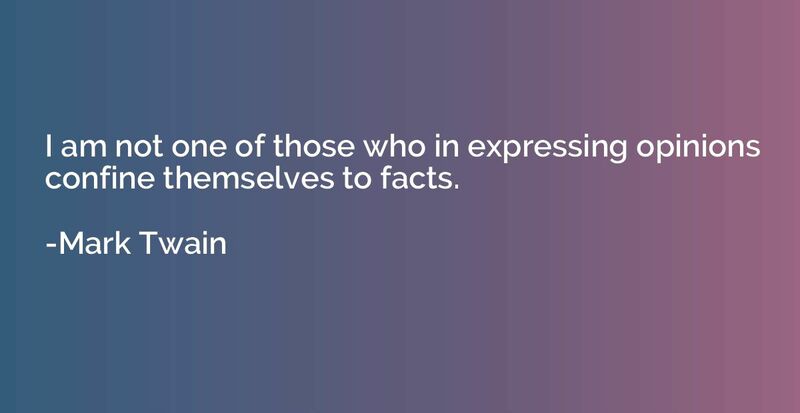 Fools have a habit of believing that everything written by a famous author is admirable. 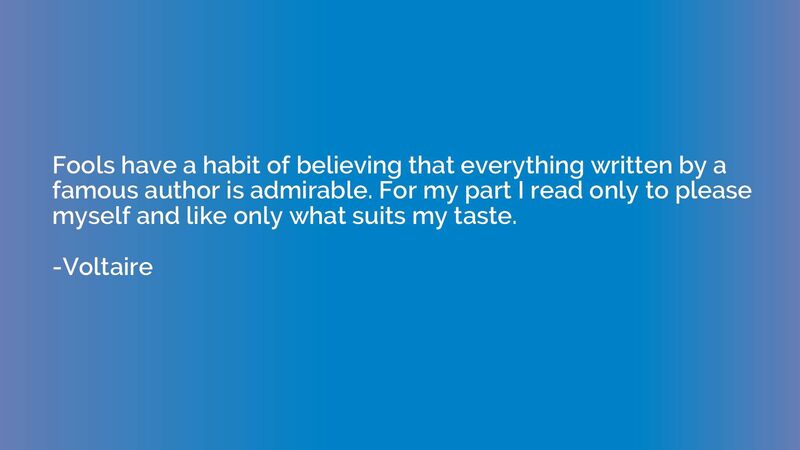 For my part I read only to please myself and like only what suits my taste. 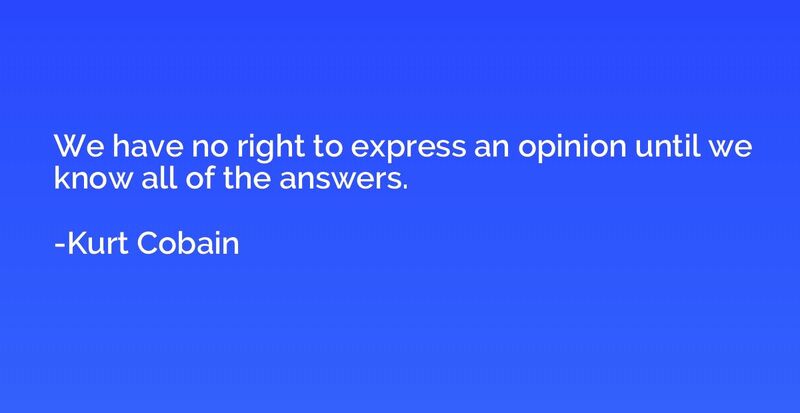 I am not one of those who in expressing opinions confine themselves to facts. 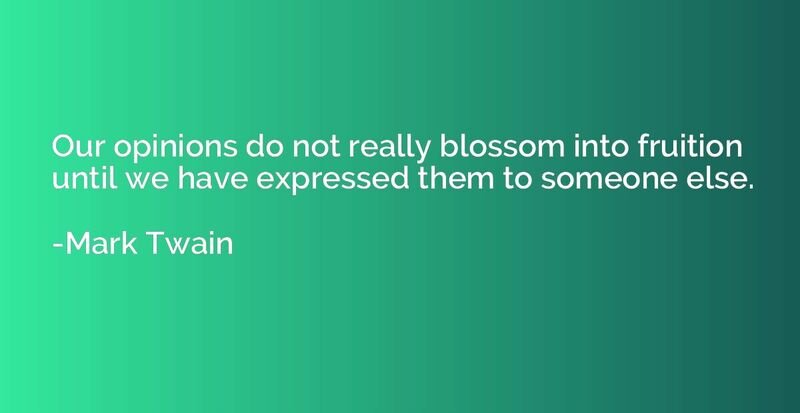 Our opinions do not really blossom into fruition until we have expressed them to someone else. 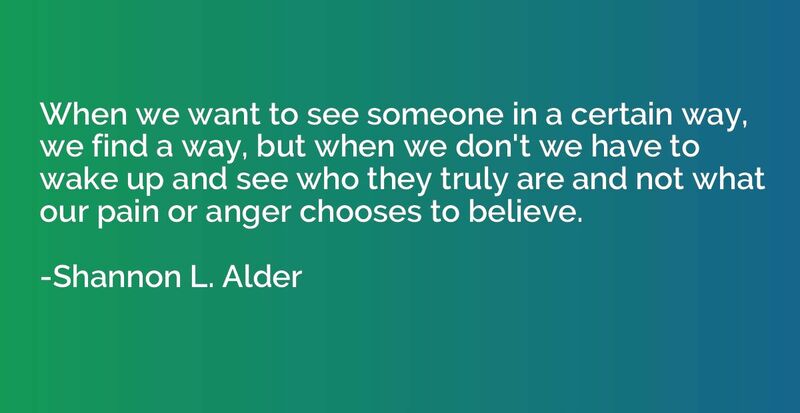 When we want to see someone in a certain way, we find a way, but when we don't we have to wake up and see who they truly are and not what our pain or anger chooses to believe. 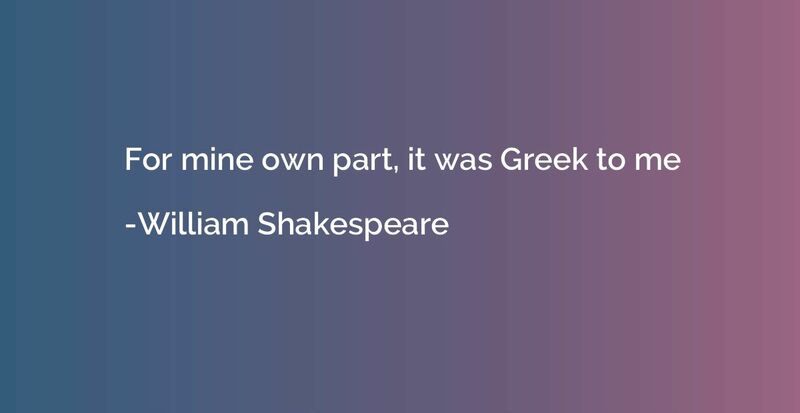 The public make use of the classics of a country as a means of checking the progress of Art. They degrade the classics into authorities.... A fresh mode of Beauty is absolutely distasteful to them, and whenever it appears they get so angry and bewildered that they always use two stupid expressions--one is that the work of art is grossly unintelligible; the other, that the work of art is grossly immoral. What they mean by these words seems to me to be this. 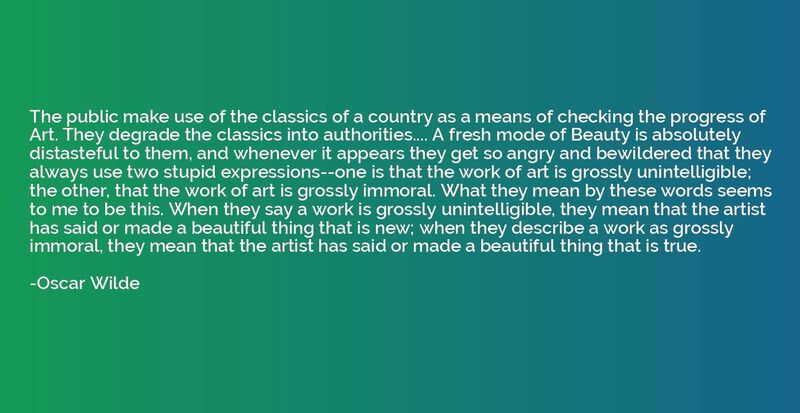 When they say a work is grossly unintelligible, they mean that the artist has said or made a beautiful thing that is new; when they describe a work as grossly immoral, they mean that the artist has said or made a beautiful thing that is true.